BAY SHORE, Long Island (WABC) -- A teen from Manhasset was arrested Monday after police said he jumped off a Fire Island ferry. 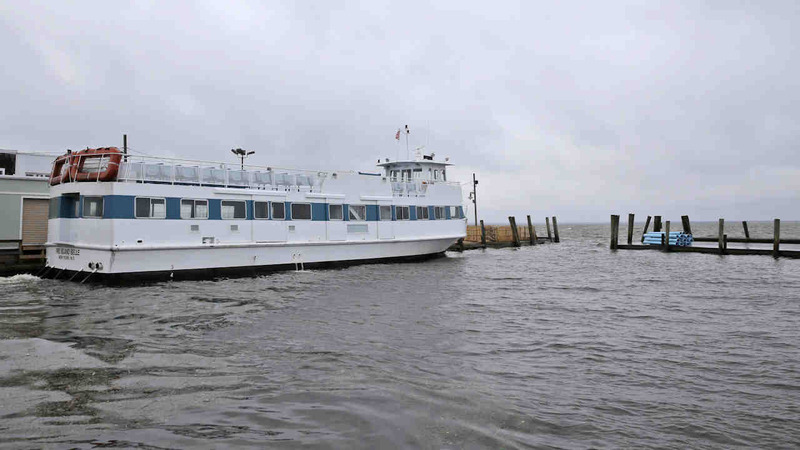 Around 10:20 p.m. Monday, the Fire Island Belle, an 80-foot ferry, was approaching the Bay Shore ferry terminal and a 17-year-old man jumped from the boat, according to the Suffolk County Police Department. When the ferry docked, police said the boat captain guided the teen to a ladder and helped him aboard. The teen, who was not injured, is scheduled to appear for arraignment in Central Islip. There were 60 passengers and three crew members on board at the time of the incident. No one was injured.